Looking for a new way to spend your Friday night on the town? The Vancouver Symphony Orchestra (VSO) wants to help. 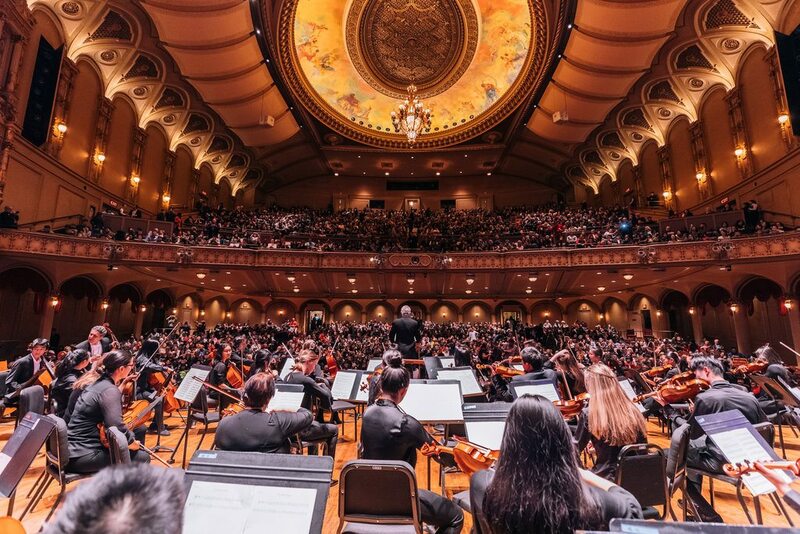 This Friday, February 8, is the VSO’s second iteration of “Inside the Symphony,” a new, three-concert series that brings listeners closer to the music, while still allowing plenty of time to hit the town afterwards. The evening begins with Happy Hour at the Orpheum at 5:30 pm, highlighted with pre-concert music and specials on Kir Royale, a French aperitif. The concert then begins at 6:30 and lasts for an hour, with the conductor taking listeners inside the music with a casual analysis before the piece is played. The concert ends just at 7:30 pm, but the evening doesn’t end there. After a mix and mingle with VSO musicians in the lobby, guests are invited to join in a shopping party at John Fluevog Shoes, where 50% of sales are donated back to the VSO. After all that, listeners will still have enough time for an after-concert dinner and drink. This week’s event features guest conductor Brett Mitchell and two highly-popular Czech pieces – Smetana’s The Moldau and Dvořák’s Symphony no. 8. Tickets for the concert range from $13 to $42 and can be purchased online. The event will run from approximately 5:30 to 8:30 pm.